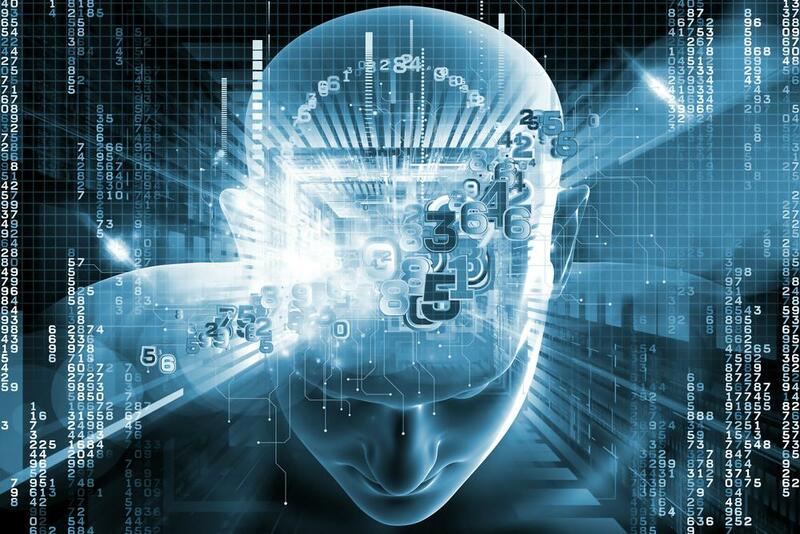 Artificial intelligence, which can also be referred to as machine intelligence, is the simulation of human intelligence processes by machines, especially computer systems. These processes include learning (the acquisition of information and rules for using the information), reasoning (using the rules to reach approximate or definite conclusions) and self-correction. Artificial intelligence is said to be involved when a machine mimics "cognitive" functions and behaviors that humans exhibit such as "learning" and "problem solving". Artificial intelligence was founded as an academic discipline in 1956. The core problems of artificial intelligence include programming computers for certain traits including reasoning, knowledge representation, planning, learning, natural language processing, perception and the ability to move and manipulate objects. Artificial Intelligence strategies include statistical methods, computational intelligence, and traditional symbolic AI. Many tools are used in AI, including versions of search and mathematical optimization, artificial neural networks, and methods based on statistics, probability and economics. The AI development is dependent upon computer science, mathematics, psychology, linguistics, philosophy and many others. Weak AI, which is also known as narrow AI, is an AI system that is designed and trained for a particular task. A virtual personal assistant, such as Apple’s Siri, is a form of weak AI. Strong AI, also known as artificial general intelligence, is an AI system which possesses generalized human cognitive abilities that has enough intelligence to find a solution when presented with an unfamiliar task. The Turing Test, developed by mathematician Alan Turing in 1950, is a method used to determine if a computer can actually think like a human, although the method is controversial. An example of reactive machine is Deep Blue, the IBM chess program that beat Garry Kasparov in the 1990s. Deep Blue can identify pieces on the chess board and make predictions, but it has no memory and cannot use past experiences to inform future ones. It analyzes possible moves such as its own and its opponent and chooses the most strategic move. Deep Blue and Google's AlphaGO were designed for narrow purposes and cannot easily be applied to another situation. This kind of AI system can use past experiences to influence future decisions. Some of the decision-making functions in autonomous vehicles have been designed this way. Observations used to inform actions happening in the not-so-distant future, such as a car that has changed lanes. These observations are not stored permanently. In this category, AI systems have a sense of self, have consciousness. Machines with self-awareness understand their current state and can use the information to infer what others are feeling. This type of AI does not yet exist. 1. Automation, which is the process of making a system or process function automatically. Robotic process automation, for example, can be programmed to perform high-volume, repeatable tasks normally performed by humans. RPA is different from IT automation in that it can adapt to changing circumstances. 2. Machine learning, which is the science of getting a computer to act without programming. Deep learning is a subset of machine learning that, in very simple terms, can be thought of as the automation of predictive analytics. - Reinforcement learning, in which data sets aren't labeled but, after performing an action or several actions, the AI system is given feedback. 3. Machine vision, which is the sciences of making computers see. Machine vision captures and analyzes visual information using a camera, analog-to-digital conversion and digital signal processing. It is often compared to human eyesight, but machine vision isn't bound by biology and can be programmed to see through walls, for example. It is used in a range of applications from signature identification to medical image analysis. Computer vision, which is focused on machine-based image processing, is often conflated with machine vision. 4. Natural language processing (NLP), which is the processing of human and not computer language by a computer program. One of the older and best known examples of NLP is spam detection, which looks at the subject line and the text of an email and decides if it's junk. Current approaches to NLP are based on machine learning. NLP tasks include text translation, sentiment analysis and speech recognition. 5. Pattern recognition, which is a branch of machine learning that focuses on identifying patterns in data. The term, today, is dated. The biggest bets are on improving patient outcomes and reducing costs. Companies are applying machine learning to make better and faster diagnoses than humans. One of the best known healthcare technologies is IBM Watson. It understands natural language and is capable of responding to questions asked of it. The system mines patient data and other available data sources to form a hypothesis, which it then presents with a confidence scoring schema. Other AI applications include chatbots, a computer program used online to answer questions and assist customers, to help schedule follow-up appointments or aiding patients through the billing process, and virtual health assistants that provide basic medical feedback. Robotic process automation is being applied to highly repetitive tasks normally performed by humans. Machine learning algorithms are being integrated into analytics and CRM platforms to uncover information on how to better serve customers. Chatbots have been incorporated into websites to provide immediate service to customers. Automation of job positions has also become a talking point among academics and IT consultancies such as Gartner and Forrester. AI can automate grading, giving educators more time. AI can assess students and adapt to their needs, helping them work at their own pace. AI tutors can provide additional support to students, ensuring they stay on track. AI could change where and how students learn, perhaps even replacing some teachers. AI applied to personal finance applications, such as Mint or Turbo Tax, is upending financial institutions. Applications such as these could collect personal data and provide financial advice. Other programs, IBM Watson being one, have been applied to the process of buying a home. Today, software performs much of the trading on Wall Street. The discovery process, sifting through of documents, in law is often overwhelming for humans. Automating this process is a better use of time and a more efficient process. Startups are also building question and answer computer assistants that can sift programmed-to-answer questions by examining the taxonomy and ontology associated with a database. This is an area that has been at the forefront of incorporating robots into the workflow. Industrial robots used to perform single tasks and were separated from human workers, but as the technology advanced that changed.